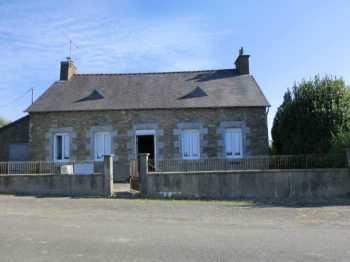 AHIB-1-PI-2042 La Motte 22600 Detached cottage on 1600m2 garden - needs work but as the say... has potential! This cottage, Longere, is in a superb setting, just on the edge of the Loudeac Forest. All around is gentle, green countryside, & fields. It is very reminiscent of the New Forest in England, but without the high house prices!